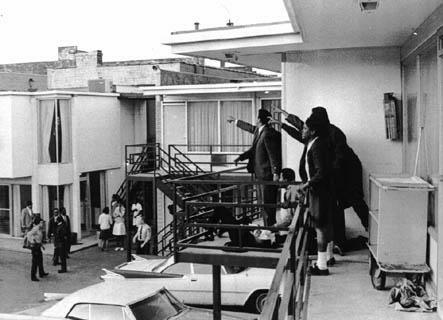 On this day in 1968, civil rights leader Martin Luther King, Jr. was assassinated in Memphis, TN. The following June, a fugitive named James Earl Ray was arrested in London and extradited to the United States. Ray would eventually plead guilty to the murder. He later tried unsuccessfully to withdraw the plea. He was sentenced to 99 years in prison. Ray died in 1998 at the age of 70. Wikipedia – Assassination of Martin Luther King, Jr.
On this date in 1981, a pathetic loser named John Hinckley, Jr. made a play for the attention of actress Jodie Foster by attempting to assassinate President Ronald Reagan. President Reagan and three others were wounded in the attempt. 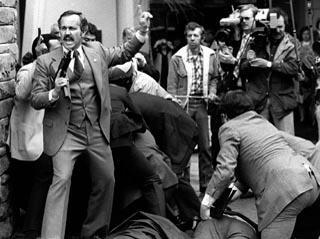 Hinckley, who wound up buried under a mountain of Secret Service agents and cops, was arrested at the scene. He was later found not guilty by reason of insanity. He was confined to St. Elizabeth’s Hospital in Washington, DC, and was released in September 2016. Still no date with Jodie Foster, though. Keep the faith, Johnny, she’ll be stopping by any day now. 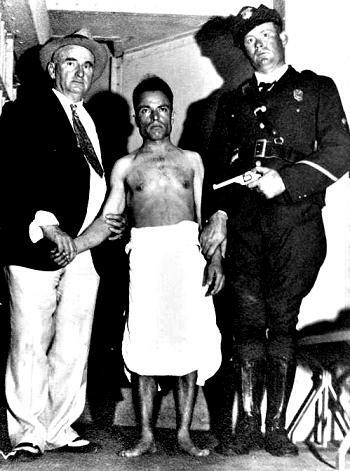 On this date in 1933, would be presidential assassin Giuseppe Zangara was executed in the Florida electric chair. Forty-five days prior to his execution, Zangara had tried to assassinate President-elect Franklin D. Roosevelt. He missed Roosevelt, but managed to shoot several other people, including Chicago Mayor Anton Cermak. Cermak later died of his wounds. The general consensus among historians is that Roosevelt was the intended target, and that Cermak was just in the wrong place at the wrong time. But there is another school of thought: Cermak was the real target. 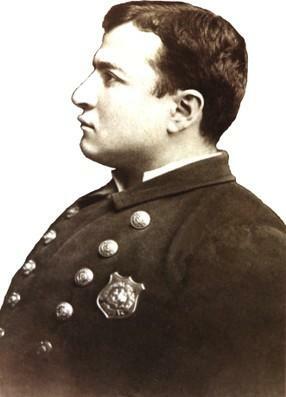 As the story goes, Cermak was behind the attempted assassination of Chicago Outfit boss Frank Nitti. The designated hitters for that job were officers of the Chicago PD, who claimed that they shot Nitti in self defense. 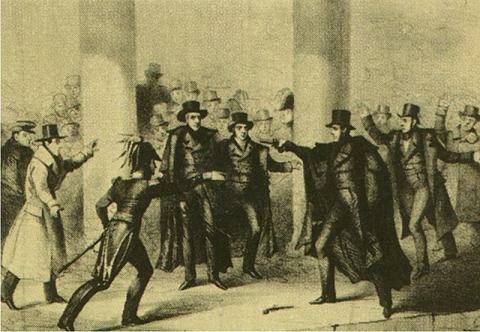 Nitti survived the shooting and stood trial for his supposed assault on the officers. The jury didn’t buy it, and Nitti was acquitted. The officers, on the other hand, were eventually charged with assault. One flipped on the other, and they were both convicted and fined $100 each. As payback for the attempt on Nitti’s life, the Outfit supposedly contracted Sicilian immigrant Giuseppe Zangara to kill Cermak. The hit went down as planned, and Zanagara took the fall as a “crazed gunman.” Of course, there’s not much proof to support this theory, which is fairly standard for conspiracy theories. But it makes for an interesting story. Maybe Oliver Stone will make a movie about it someday. 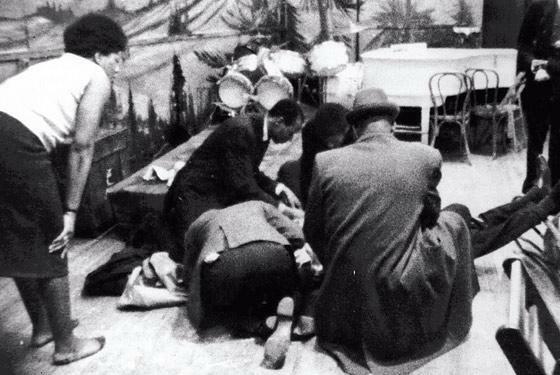 On this date in 1965, Malcolm X was assassinated in the Audubon Ballroom in Manhattan. The three assassins were all members of the Nation of Islam. Malcolm X had previously been a member of the NoI, but had left the organization a year earlier after a falling out with the group’s leader, Elijah Muhammad. All three of the killers were arrested, tried, and convicted. Two of them were paroled in the 1980s. The third was paroled in 2010.